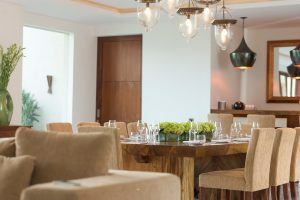 Featuring a large indoor air-conditioned, open-plan living space features a solid timber 10 seater dining table and bar. 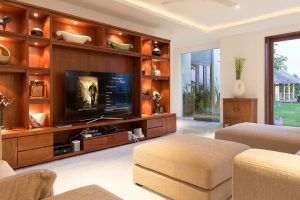 The stylish timber wall unit houses a 60” smart TV, PlayStation, Wii/ Xbox and large comfortable sofas. 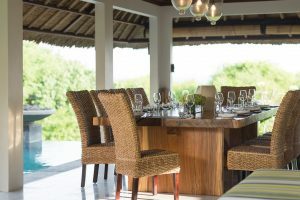 Two outdoor open-air living pavilions faeture another dining table for 10 guests and opposite another pavilion with a relaxing entertainment area with sofas, ceiling fans and big-screen TV. The 16mtr infinity pool is just meters from the sands of Seseh beach. 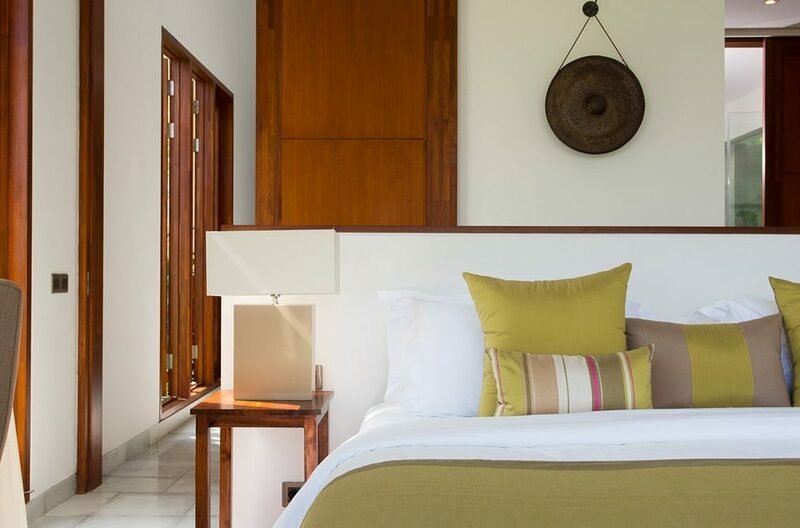 The villa comfortably sleeps 10 guests in spacious bedrooms with large windows and doors opening onto private gardens and balcony’s. 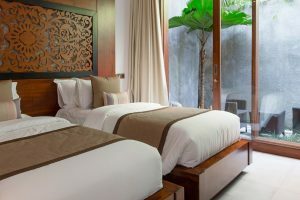 Two bedrooms feature king size beds while the other rooms provide twin beds that can be converted into kings. 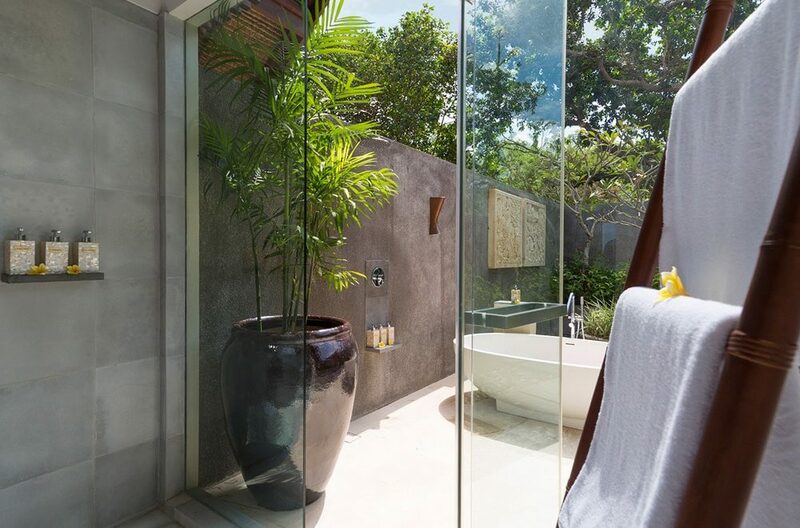 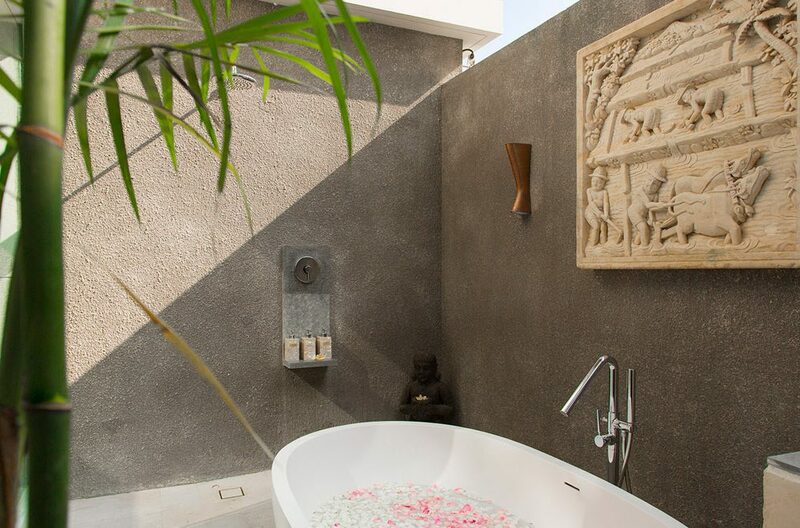 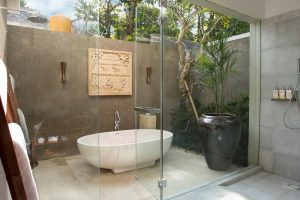 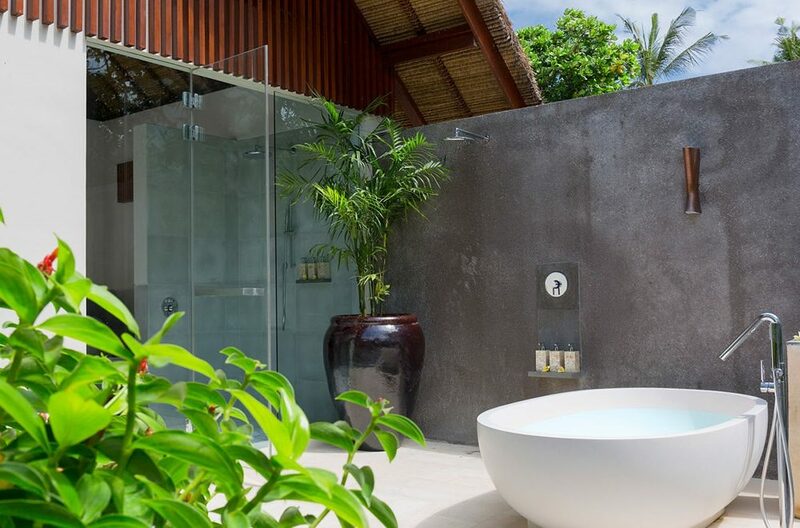 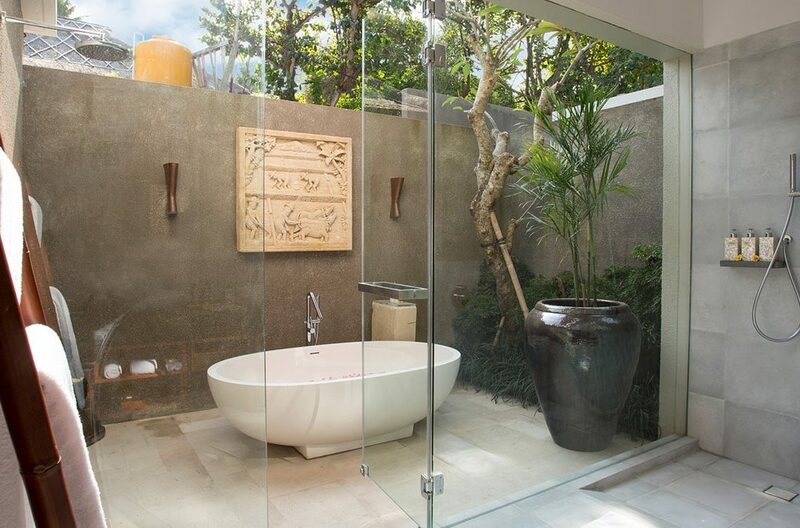 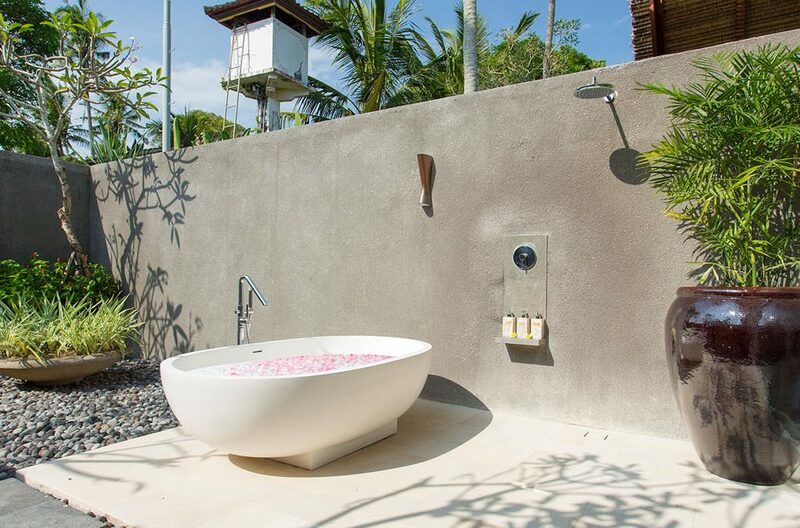 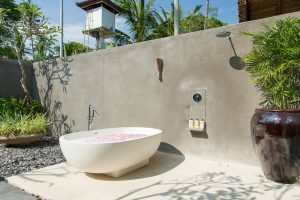 En-suites feature large private outdoor bathrooms with soaking tubs while the showers are indoor. 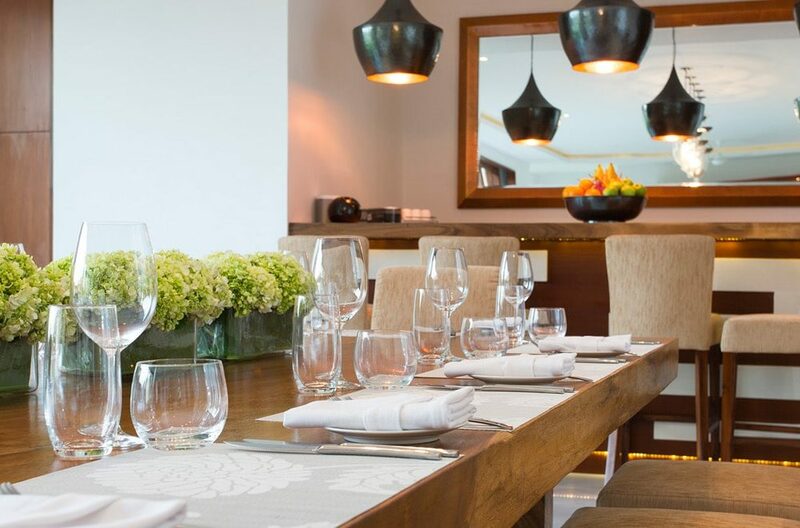 Our great team of staff have been professionally trained to provide you with nothing but the very best service. You will be looked after by a full-time manager, butlers, 24-hour security and a personal chef who will cook anything you desire. 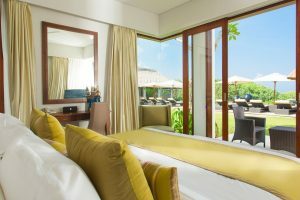 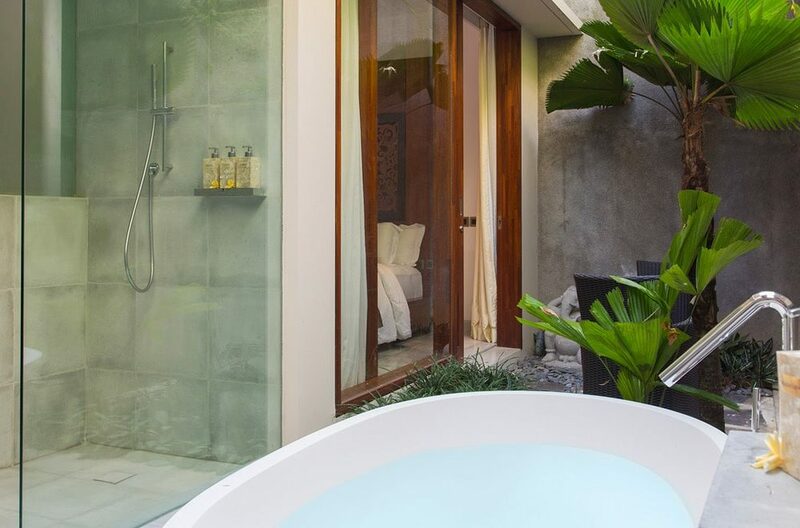 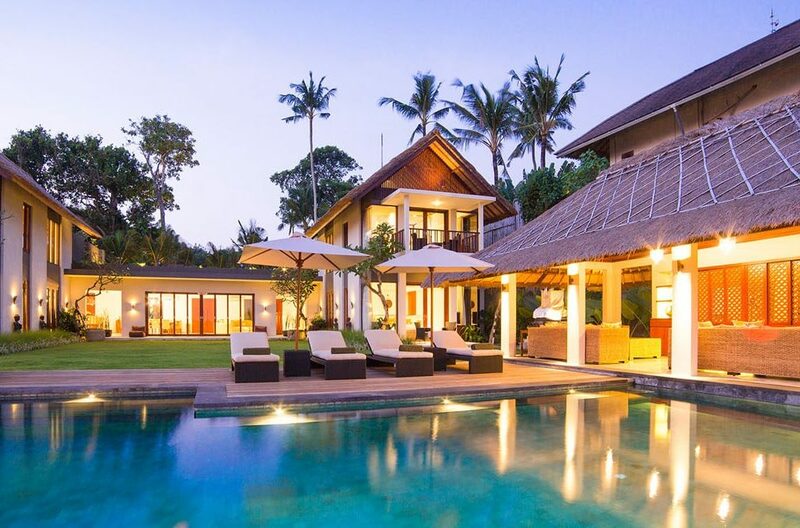 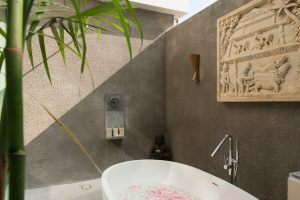 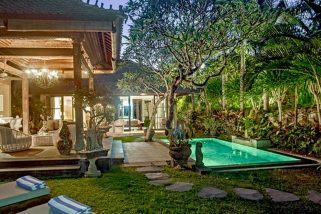 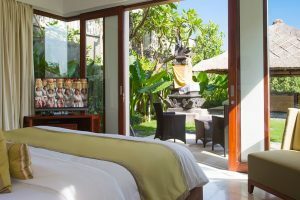 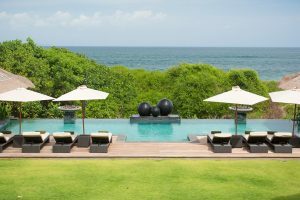 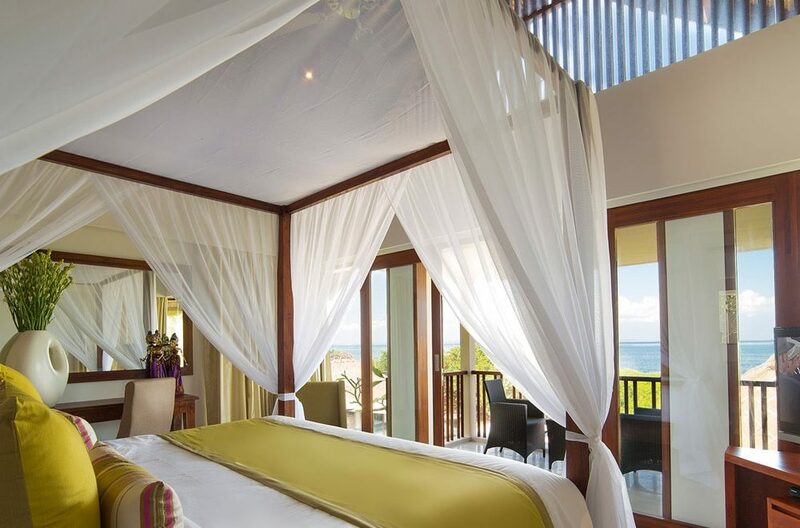 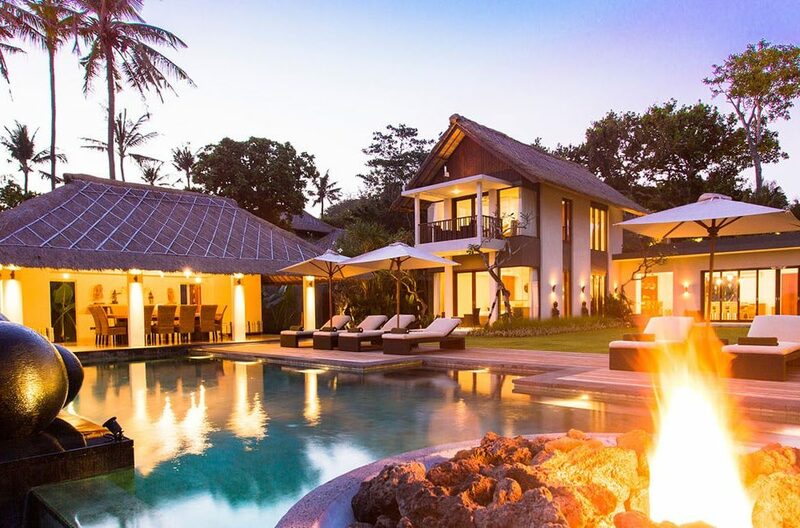 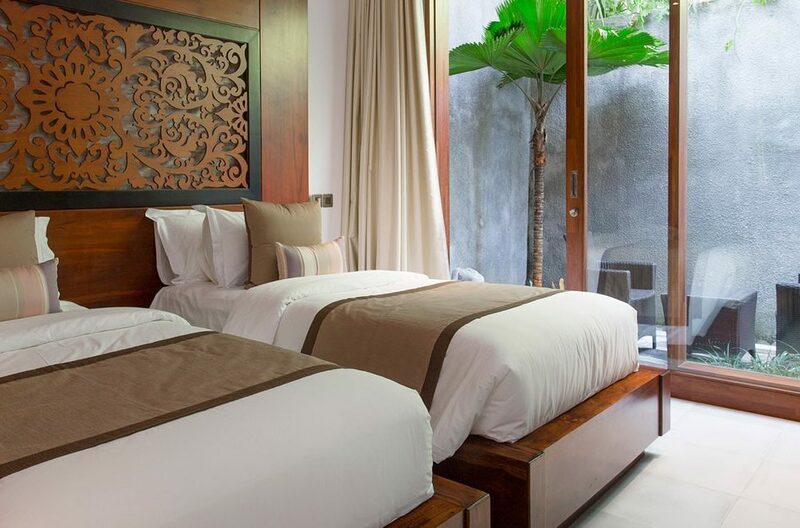 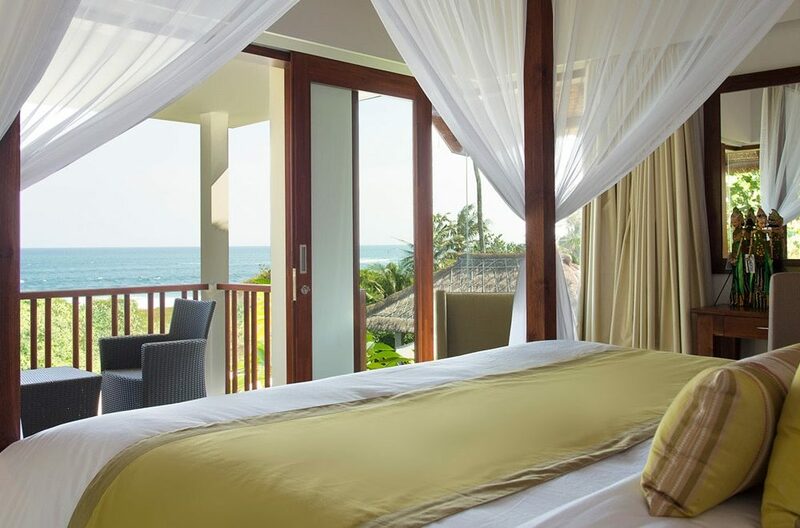 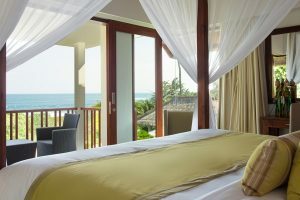 Located in the Seseh village, south-west Bali, Canggu the villa is apx 8km from Echo Beach and 6km to the Canggu Club. Bali Nirwana Golf Course is just a short drive away.